I could either watch it happen, or be a part of it. At LaunchLab, we work with the innovators; the trail-blazing originators. Our passion for success lies in execution, so we’re reinventing web-presence and doing it with style. Are you prepared to be part of the next big thing? Is there anything so wise as to learn from the experience of others? Working with LaunchLab is having solid start-up experience on your side. We’ve mastered the web development, design and digital marketing field for years, and we want you to benefit from it. LaunchLab takes pride in delivering consistent and quick creativity. Our strategies reflect the passions our clients pursue, so collaborating with LaunchLab means your visions are ours. Let’s achieve them together. Our designers have command over modern web technologies. If you can conceive it, we can create it – all at a fraction of what larger firms cost. We value both usability and aesthetic quality in our productions. We know how to design platforms you and your users will love. Bring your brand to life with a professional, attractive, iconic logo. Inquire to see designs from our portfolio. Whether you're scaling an existing business or starting a new one; we build custom solutions tailored to fit your needs. Integrate your online platform and take advantage of your users' devices capabilities with a custom mobile application. Show up in search engines and drive traffic to your website. We keep up to date with hundreds of optimization tactics to make your online presence known. LaunchLab has your campaigns covered with our expertise in digital marketing. From paid search to advertising, we get the most out of Google Adwords, Facebook, Twitter and more. Social media is an integral part of establishing your online presence. 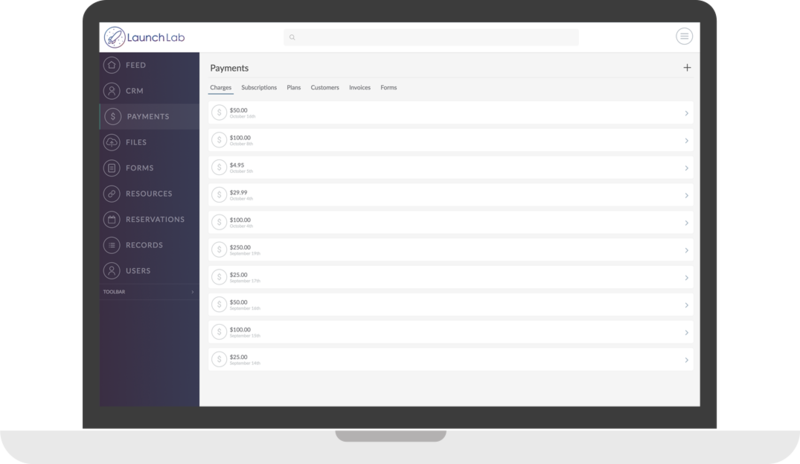 Manage your accounts through LaunchLab. Easily accept payments online -- and fast. We'll set you up with secure online checkouts, recurring billing systems or an all-out custom eCommerce marketplace. Think that Craigslist can be sketchy? So do we. That’s why we built CityWix, a platform designed to easily -- and transparently -- connect users with local contractors. We are currently building out a new, even better platform, so bare with us! The new web app will focus on seamless messaging between contractors and their customers. Update: Citywix 2.0 is here! 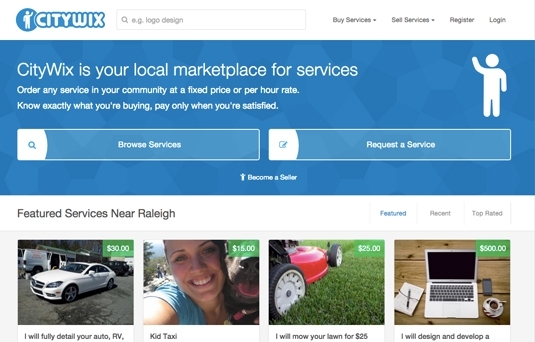 Now a free vendor listing platform working on some exciting new technologies to help service providers get found online while helping people connect with top recommended service providers in their area. Check it out! Nebula is a suite of tools built by LaunchLab to stay organized and manage the digital aspects of your business. We offer the most popular feature asks, integrations and APIs in a single, white-labeled dashboard that can be tailored to your organization's needs. See more at nebulasuite.com or follow the link to learn more. North Carolina's first alcohol delivery service is here! Now servicing the Raleigh area is Brewships - beer, wine and coffee delivery. Create the next big buzz with Beesknees, free to use, step-by-step meme generator. Beesknees is a meme photo generator developed by LaunchLab that creates custom memes stitching together with multiple images. Users can create memes and optionally share them to their respective social media accounts. Check it out! Split purchases with others. At Splitcha, their mission is to help people save money, engage in sustainable consumption, and build healthy communities. Join the movement to pave a new economy of collaborative consumption. Property managment made easy. Get organized take payments and more with our cloud solution. MedSign was born out of a need for better communication and document sharing between medical practitioners and their patients. MedSign is an efficient solution that allows you to focus on patients; not paperwork. Tennisbloc is a local organization that serves to connect people to tennis coaches and programs. We partnered up with Tennisbloc to create Blocit – An easy-to-use tool that allows for tennis court reservations in your community. Gather feedback with online surveys and forms. Gain insight from your customers by asking the questions that get to the heart of what you want to know. Based in Raleigh MD Benchmark specializes in providing competitive Medical Malpractice insurance quotes to business professionals across the country. Their insurance specialists have access to the nationwide insurance market. If you are looking for a competitive rate quote, you will find it there. Professional licenses live here. Co-founders Christian Matthews and Nick Ramirez met during MBA school at NC State and as very few professional engineers in the program, they quickly realized they had more things in common than they had initially thought. Recognizing the opportunity at hand, their diverse backgrounds, and their common goal in mind, they ventured to start this company and never looked back. This education-specific crowdfunding platform was built over Google’s two-day Triangle Startup Weekend (EDU). We raised over $1,000 to fuel 4 real-life causes in a single day -- all while partnering with multiple non-profits and establishing an automated, tax-deductible receipt process with 501C3 organization. EduLaunch won Best Design and Crowd Favorite! "LaunchLab is by far the best website design company we have ever worked with. Our business plan was extremely complex and Zach helped solve all of our unanswered questions as far as a business goes and was extremely patient in teaching us how to manage our website. The website itself is beyond our highest expectations and we have received numbers compliments on its easy accessibility and clean layout. LaunchLab was extremely patient in teaching us how to manage our website and taking us through the steps. They are extremely great with customer service and would answer our questions and make changes on our website almost immediately after we submitted the request. Their prices cannot be beat, especially with the quality of work they do. Overall we are extremely satisfied and will never take our business elsewhere!" – Nick O. "This innovative group of tech savvy millenials have fresh ideas and know how to seamlessly implement them. As a new business owner, they have laid the foundation with a beautiful logo, website and have customized industry specific widgets. They are also nice to work with and acesssible quite quickly through phone and email contact. I have been very happy with the whole experience from start to finish and would choose them again. " – Jill J. “I've been working with Zach and Geoff for five years and they are two of the most authentic, honest, ambitious people I know. I highly recommend them and their work." – Chris R.
"If you're looking for a team that's going to hustle hard and get things done quickly and efficiently then look no further. The LaunchLab team are entrepreneurs at heart and they understand the work that's needed to launch a product. They know what goes into running a company and their team has a great dynamic. If you need your web app product built, then I would highly recommend the guys at LaunchLab. " – Deshawn B. "As a new technology entrepreneur, choosing the right developer for an MVP was a very big step and extremely important to my business. Launch Lab provided superb service, a really a world class product using state of the art technology. I am very happy and hope to recommend this talented team to other entrepreneurs! Thank You! " – Juan V.